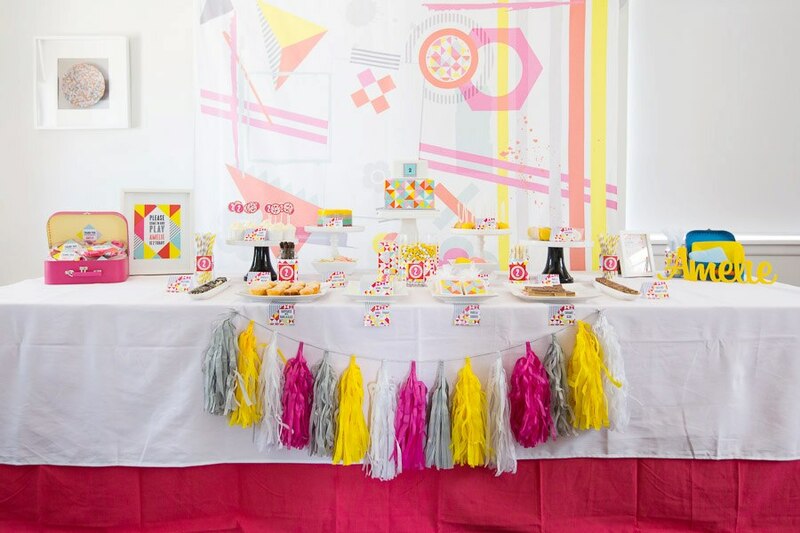 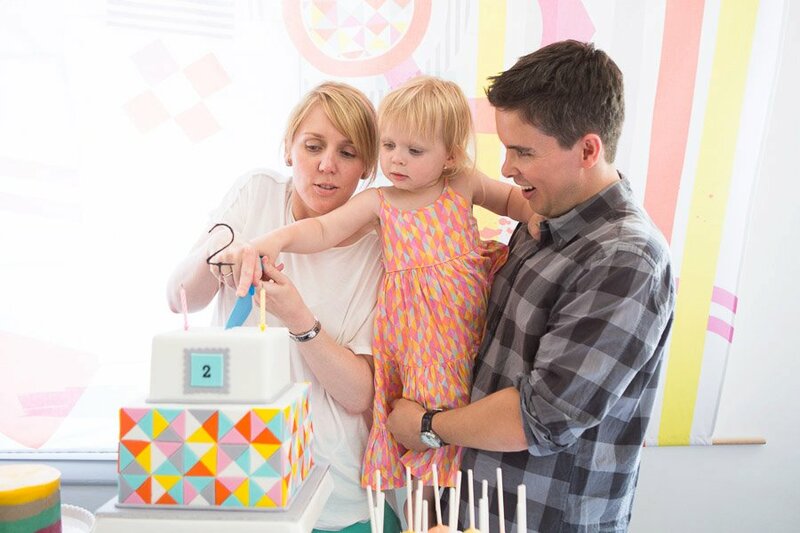 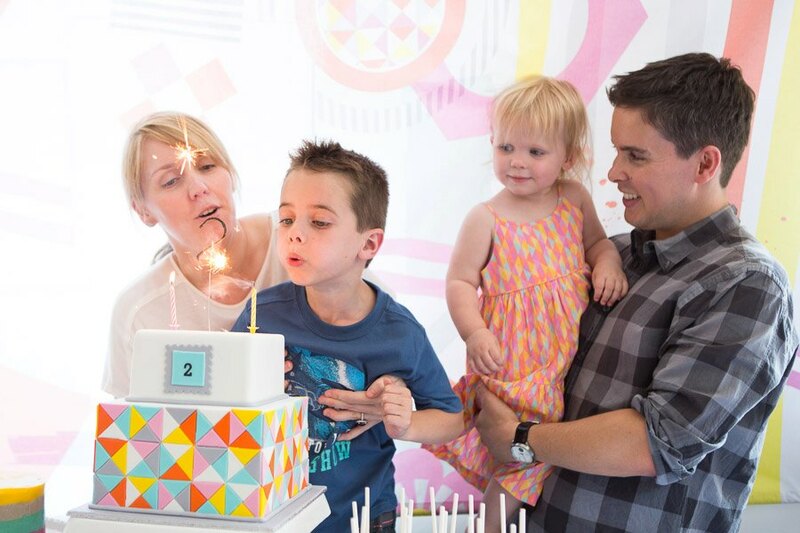 Carly styled this super clever and fab birthday for her daughter’s birthday. 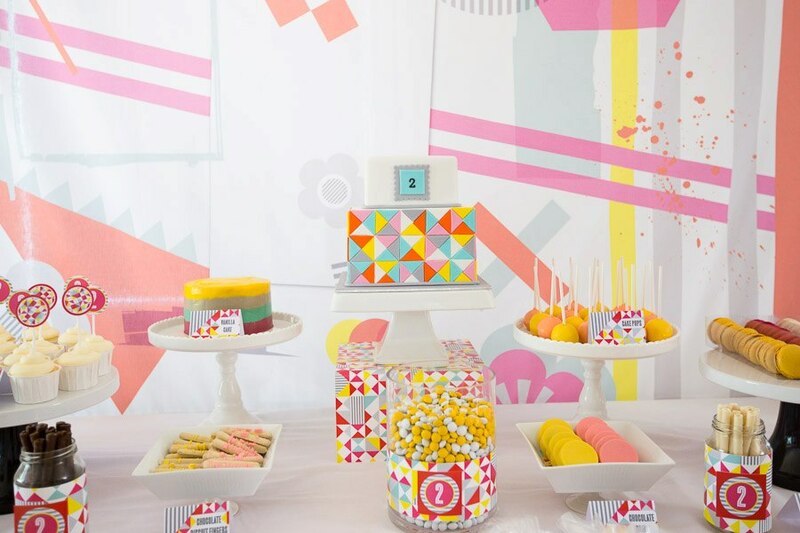 I think you will agree it is absolutely wonderfully creative, love the bright colours, the geometric design backdrop and the designs on the jar, the cake and sweet treats are so clever! 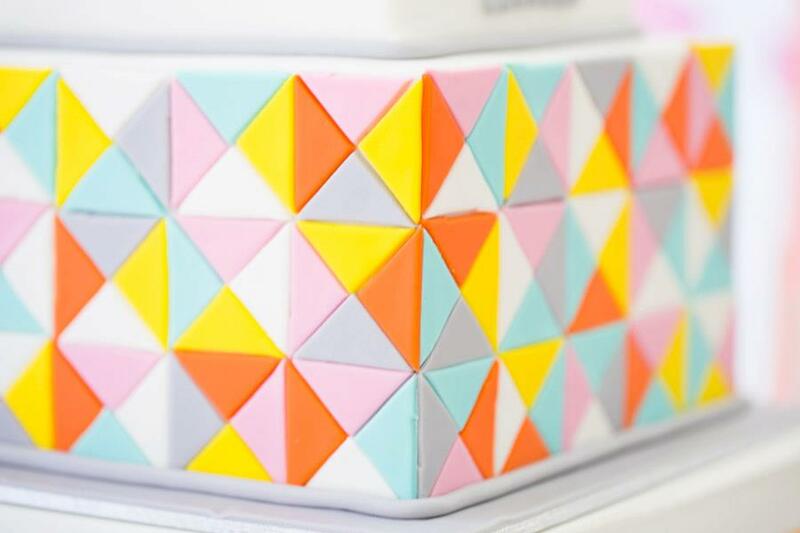 The colour just pops! 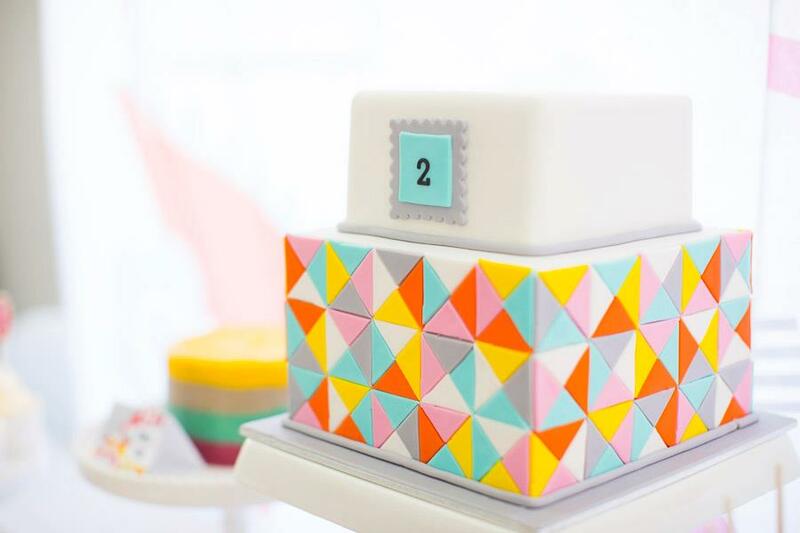 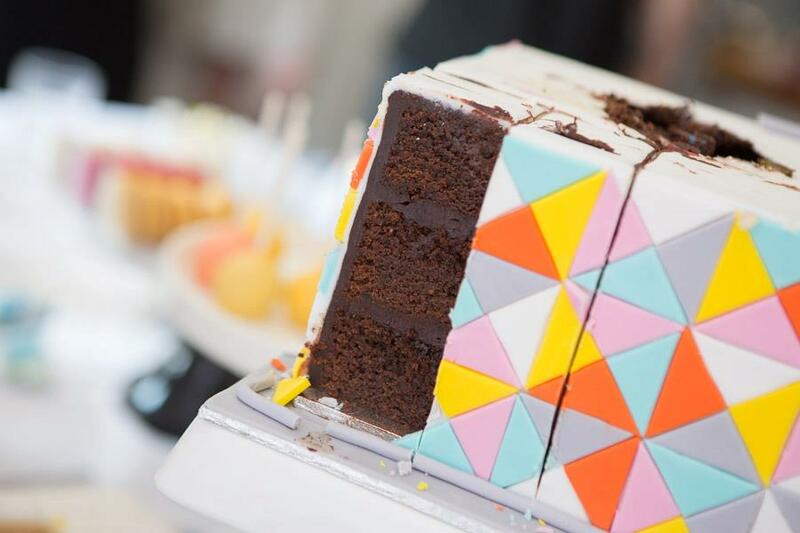 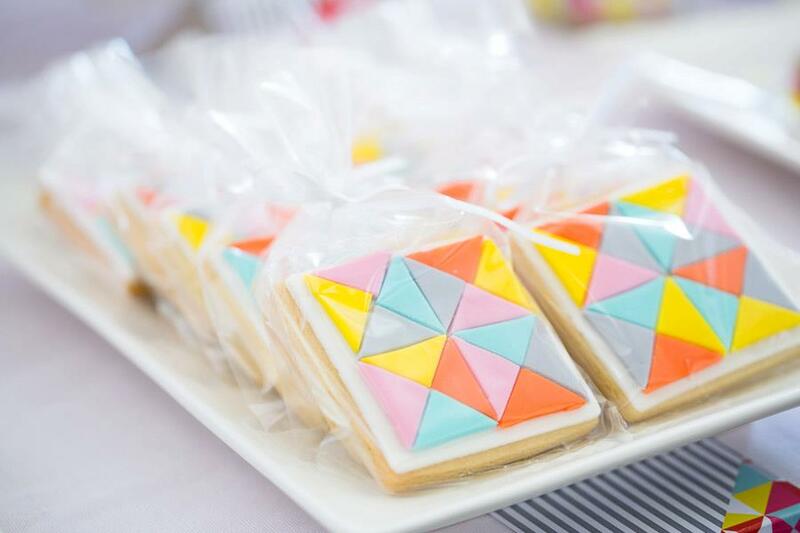 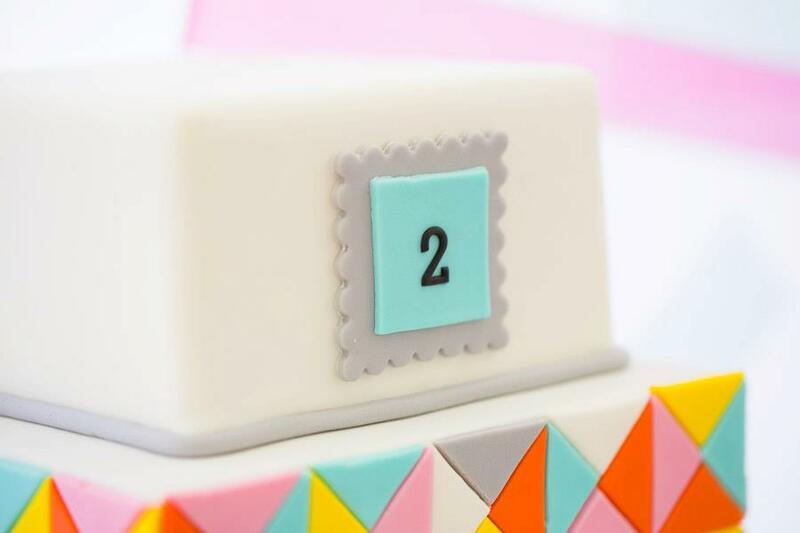 As told by Carly ” For Amelie’s 2nd Birthday we wanted to do something bright, fun and a little different so we chose a bold geometric pattern as the inspiration. 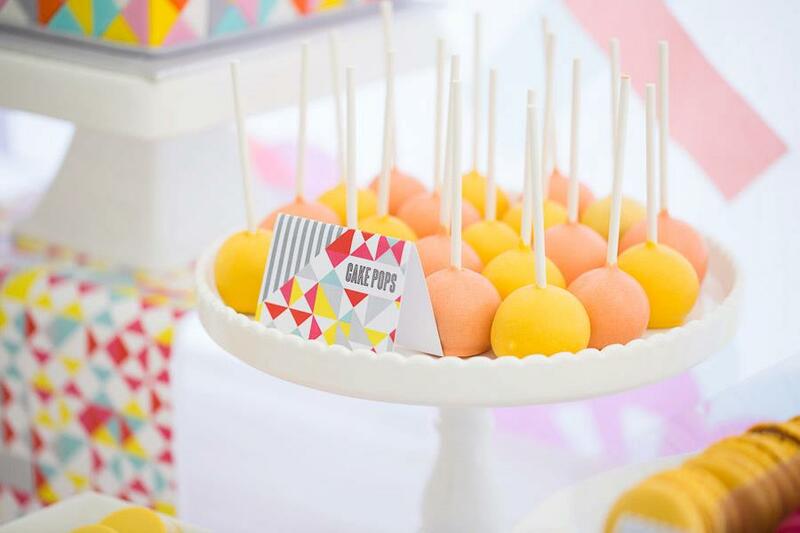 We also decided on an afternoon tea so we could justifiably concentrate on the sweet stuff… I did have grand intentions of baking it all myself but luckily sanity prevailed and Danielle from Sweetcheeks Cookies & Cakes provided the most delicious cake, cake pops and cookies all perfectly matched to the great invitations and printables by Ham&Pea. 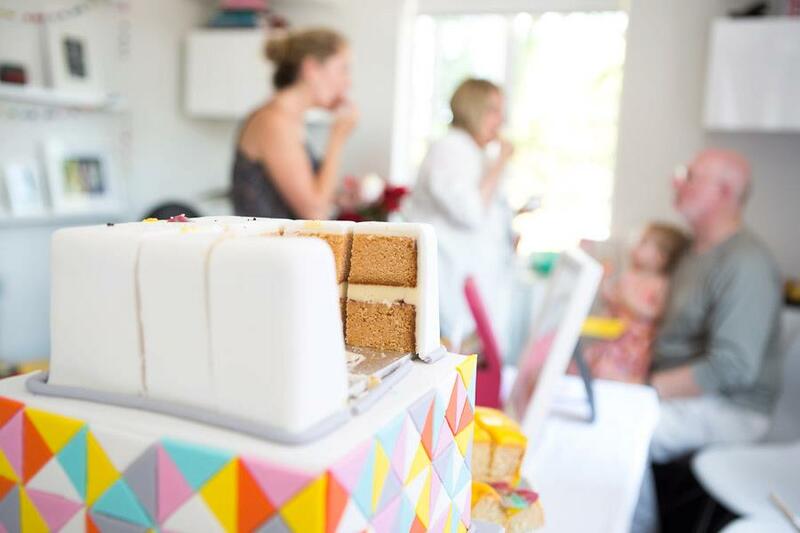 I did contribute the caramel slice, hazelnut slice, babycakes, lemon cupcakes, chocolate covered oreos and vanilla cake, but am very glad I didn’t have to handcut all of those triangles! 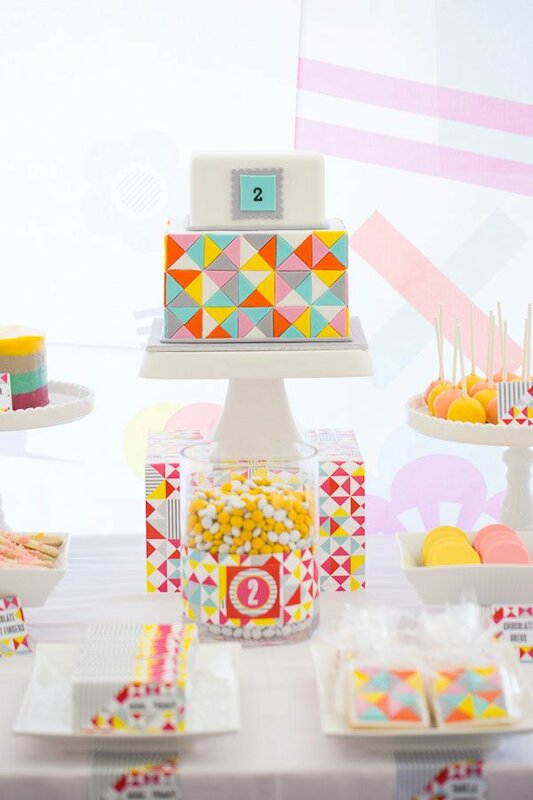 Finally, I ordered some ribbon wands from Etsy for the guests to take home instead of lollybags… far too much sugar had been eaten already!